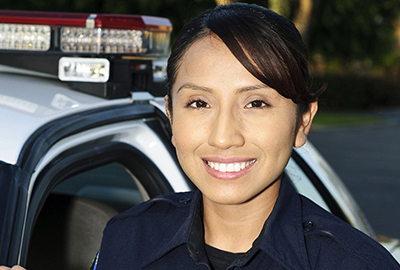 Pierce College Fort Steilacoom is hosting a special event on April 17, shining a spotlight on women in a variety of criminal justice careers. Attendees will have the unique opportunity to learn more about the inspiration, challenges and triumphs of nontraditional voices of the criminal justice system. The event will feature a panel of women who will share their experiences working in what many consider to be a male-dominated field. The event’s keynote speaker is Sgt. Loi Dawkins of the King County Sheriff’s Office. A Tacoma native, Sgt. Dawkins earned a bachelor’s degree in political science, and master’s in public administration, both from University of Washington. She has worked in patrol assignments for six years, and served as a detective for 10 years. Sgt. Dawkins received the department’s Detective of the Year Award in 2015. Attendees will also have an opportunity to meet the panelists before and after the event, and ask questions during the discussion. Pierce College Criminal Justice students will serve as the panel moderators. A number of recruiters from local criminal justice agencies will also be in attendance, as well as representatives from a number of four-year universities. Refreshments will also be available for attendees. The event takes place from 11 a.m. to 1:30 p.m. in Pierce College Fort Steilacoom’s Health Education Center, room 302.